Tags: 2018 WSOP, Phil Hellmuth, Steven Wolansky. Posted on Friday, July 13, 2018 by "T". It looks like Phil Hellmuth can't stop smiling, because he has finally won the 15th bracelet of his poker career in this year's WSOP Event #71 $5,000 NLHE (30-min levels) and he even has a plump sum of $485,082 to take home to his wife! This is actually the Poker Brat's first bracelet since winning the 2015 WSOP $1,500 Razz and his ninth bracelet overall in a NLHE event. He said after he won, "I'm humbled. It's humbling. Thirteen in Europe was really humbling for me. And so is fourteen, and so is fifteen. When asked about the addition of his bracelet, he said, "It means everything. I want to be remembered in two ways: 1.) For having won 24 bracelets, and 2.) For starting the positivity movement." Hellmuth has recently released a book entitled #POSITIVITY, a project that was born when he realized the impact he has on fans. He said, "The spotlight that I have becomes a responsibility. Once I realized that I could inspire people, I took that seriously. It's humbling. I haven't had a very good summer, but I've kept myself positive. 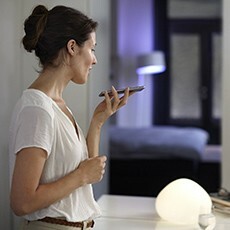 Every night I come back to the room, saying, ‘Life is good, relax. Life is good, relax.' ... Before this tournament, I called my wife and said, ‘Honey, I'm not sure I want to play this event. She said, ‘Get in there in play.'" Hellmuth came back with the rest of the 38 players (out of a total 452 entries) who survived for the 2nd day of this event, and right from the start, chips were flying everywhere with the 30-minute levels. He was in 8th chip position in this quick-paced event. By the time the final table was set, he was in 2nd place next to Alan Sternberg. Hellmuth managed to continue building up his stack even though he didn't knock out any of his opponents at the final table leading to heads-up play. 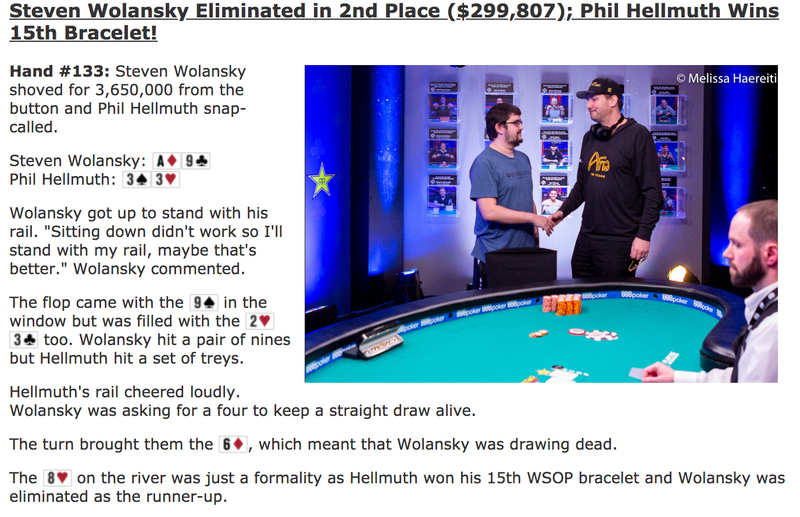 Hellmuth knocked out two-time bracelet winner Steven Wolansky in a heads-up match after being the short stack for most of their two-handed play. Shaun Deeb Crowned 2018 WSOP Player Of The Year! 13 comments for "2018 WSOP: Event #71: $5,000 No-Limit Hold''em won by Phil Hellmuth for $485,082 and 15th Career Bracelet"
What can you say here for this player. He is no doubt one of the best out there. It is also a player that you enjoy watching , playing in live tournaments. I can say about Phil Hellmuth that he is a very good poker player but he also has moments when playing poorly. Let's not forget that: he is the winner of many bracelets and we can tell him that he is a master I congratulate him for a new bracelet and for his style to play poker. He is represent emotional poker player, lol. I just one player at video, him and I always laugh when saw he mumbling. Blame his opponent who play crap card against his good card and he lost. But his bracelet approved he is very good player. He can be annoying indeed, some times, but he is less annoying than some others. and johnny chan, following with 10 bracelets each. On fifth place is john mosh with 9 bracelets. Wont be easy for someone else to reach him. It is true, that it is very difficult to win these bracelets but Phil Helmuth has 11 bracelets won when poker was not so popular. After poker has exploded ( 2007 i think ) around the world he also managed to win only 4 bracelets in 11 years. Doyle Brunson won his last bracelet in 2005, Johnny Chan last bracelet 2005, Phil Ivey 5 before and 5 after poker explode. It's very hard to win in the last 11 years because there are many good players who have learned the game very well. I am happy to see Phil Hellmuth, winning a bracelet again and number 15 for him, especially the prize pool that he took is still better, we hope he continues to appear in the big tournaments, as in his best times congratulations Phil. My most sincere congratulations to Phil Hellmuth on winning the $5,000 buy-in event #71 and capturing his fifteenth WSOP gold bracelet. I am looking forward to watching the final table replays and the heads-up battle between Phil Hellmuth and Steven Wolansky. 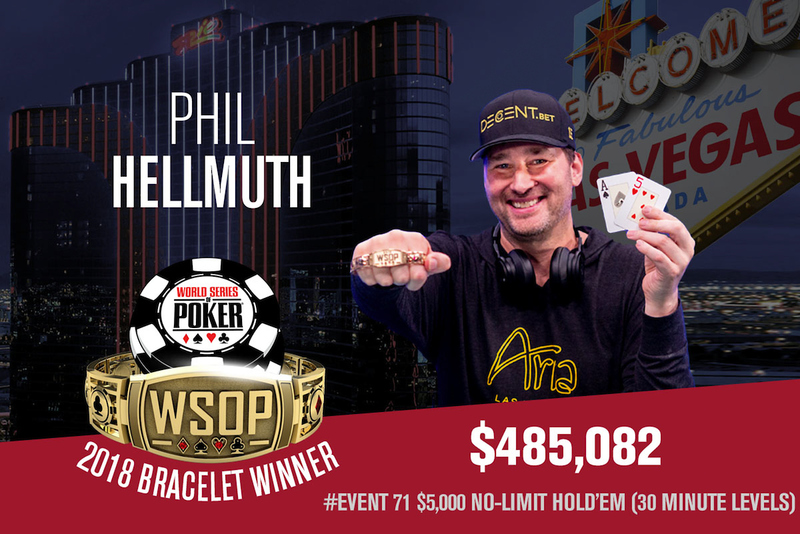 Of course, Phil Hellmuth it's worth winning a new bracelet, to add it to his other bracelets. Is a great player with many successes and now his bracelets are many, 15 in total. I do not understand why he did not teach his wife poker. It would be good if she also played poker successfully. It would have been an enviable couple or maybe not. Maybe his wife has no talent at poker.